eWriter pro is a professional PDF compiler. Create ebooks with ease. Feature rich software and tutorial. eWriter Pro professional eBooks software creates stunning ebooks in a well thought out editor. Easy to use software can save you a lot of time and money. Use eWriter Pro to write your ebook or copy & paste from your favorite text editor. Insert your graphics, links, content, etc. with ease. Click the PDF icon. Presto - your ebook is compiled for you. Dear publisher, as you know PDF is the format of choice for ebook authors and developers around the world. That's not surprising. Surveys show that PDF is preferred by an ever-growing majority of ebook readers. And it's easy to see why PDF ebooks are so popular...they can be read on just about every device in the world. They are easy on the eye, because they recreate the look of a printed page. PDF ebooks always display correctly on the reader's device because fonts, graphics, special characters are embedded into the original document. PDFs are easy to print out and always give a reliable reproduction of the original document. They can contain links within the book as well as links to websites. PDFs are very secure. In short, when it comes to electronic publishing, PDF is where it's at. Create your content directly inside the software or copy and paste it in from your favorite text editor (like MS Word). Include active hyperlinks to websites or email. Disable the copy/paste function to prevent theft of your work. Easily insert pictures, paragraphs or titles into your PDF. Include page breaks to make your ebook easy to read and navigate. Automatically add page numbers and footers to your ebooks. Manage, store and categorize all your ebooks, articles and works-in-progress from inside the software. Create an unlimited number of full-featured PDF files. No restrictions, no royalties, no 3rd-party ads. Its easy as pie to insert images, footers, page breaks, page numbers, text frames -- EVEN Hyperlinks Once you're done writing your ebook, just hit the PDF icon to instantly turn it into a downloadable PDF file. You'll also have the functionality to secure your ebooks. 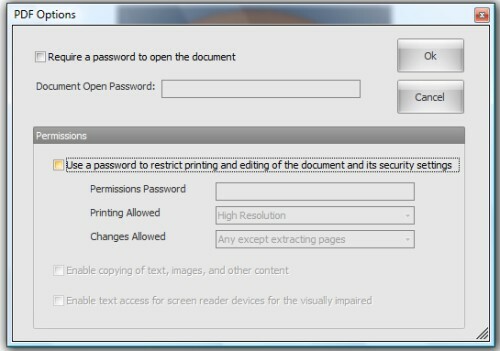 The screenshot below is of a panel that permits you to add a password as well as enable or disable printing, copying etc. eWriter Pro is such a nice piece of software, it's worth owning even if you are already an ebook professional. Its more than a cool tool! If you haven't already started publishing your own ebooks then this is the only software you'll ever need to create professional PDF ebooks quickly. That's right, you'll own master resell rights to this excellent product! You can resell it from your own website and keep 100% of the profits. All it takes is one sale, and you've made your investment back! Everything after that is pure profit, straight into your bank account. And you'll even get a professionally designed web site and sales letter - including graphics. All you have to do is upload the files to your website, and start making sales. Okay, so how much is all this going to cost? [NO] Can be added to giveaway sites. 5 "How To" ebooks (compiled with eWriter Pro). Bonus #1 - How to Write an Ebook. Bonus #2 - How to Price Your Ebook. Bonus #3 - Why Write an Ebook. Bonus #4 - Ebooks Are Promotional Powerhouses. Bonus #5 - Steps to Publishing success.